Mid Century Modern is retro styling that doesn't look antique, as seen in the recent rebirth of classic, Mid Century Modern designs into an edgy, urban setting. 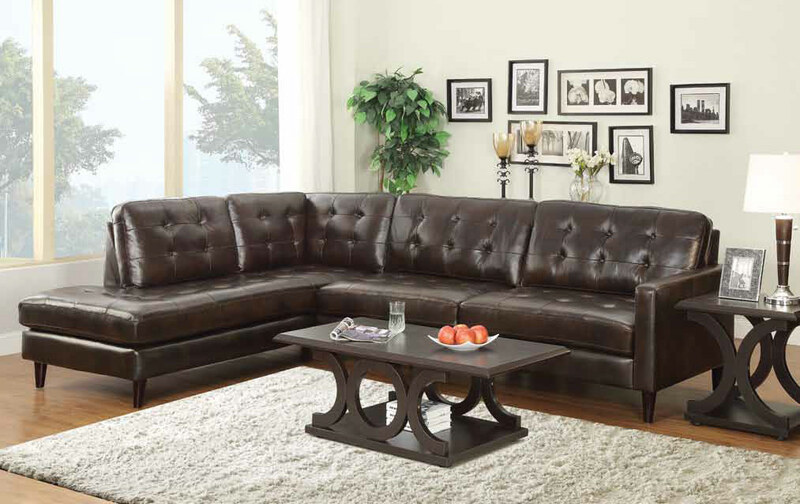 Bring a little bit of this characteristic flair to any urban or rural setting with this, handsome, easy-to-style, leather match sofa. Sofa features quality, sinuous wire spring suspension for stability and a supple, smooth cover of leather match upholstery. Leather match is a technique that utilizes a higher grade of leather on the surfaces that your body will touch, with a color-matched vinyl or blend on the sides to help make the price more affordable.